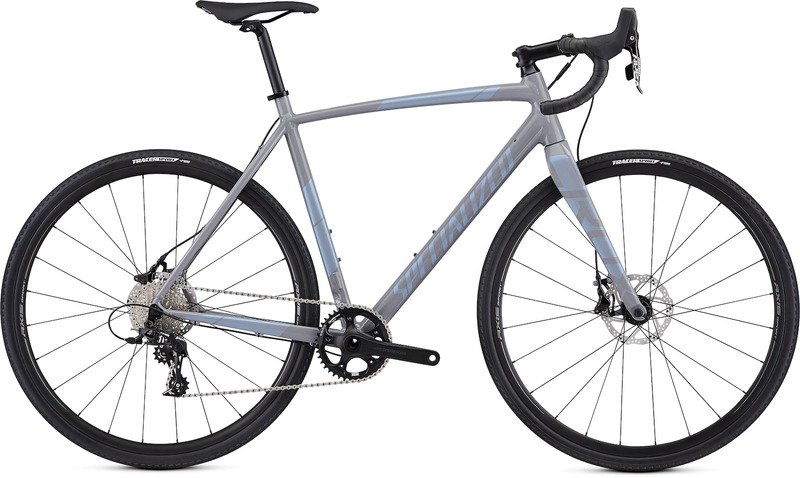 The CruX has long been in the Specialized line up, and a go to ‘cross race bike for many. 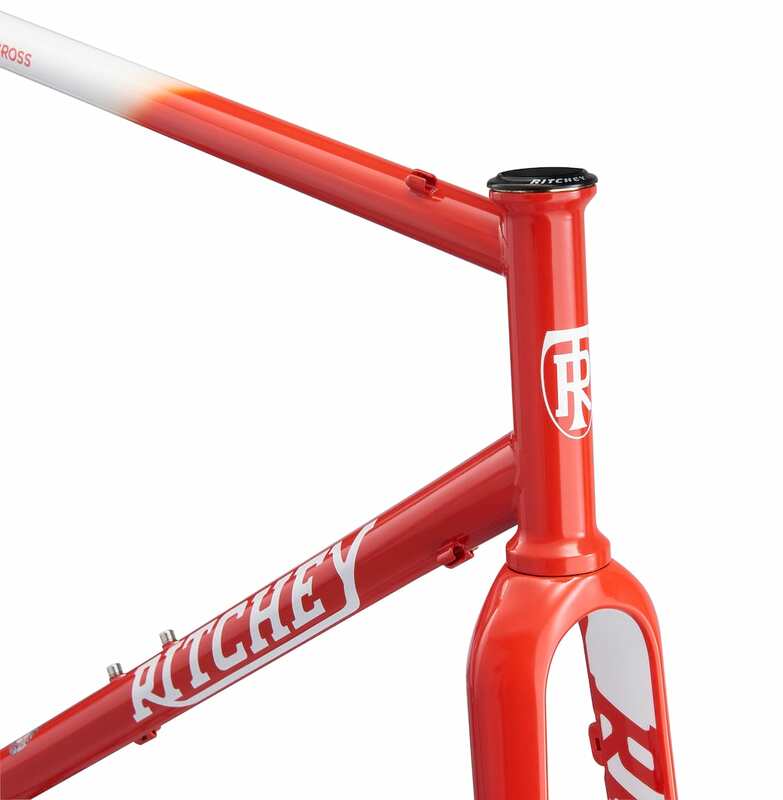 It has evolved over the years, and we thought the last version was a Very Good Bike. After some major tweaks last year, this year sees the same frameset options, but a few variations on the full builds available. At the heart of the range, there are two framesets: an alloy E5 variant and the FACT11r carbon version. If you want to build/specify your own bike, then only the carbon frameset is available (£2800) – in SWorks livery. But why would you do that when you can get it in THIS? We expect that most people will be looking to Specialized for a full build though. Fortunately, we are spoilt, with four options, ranging from £1700 to £8000 (yes, EIGHT THOUSAND). Lets start at the more affordable end of the scale, hey? Specialized Crux E5 Sport – spot the paint theme this year. Like all of this year’s CruX models, the E5 Sport (£1700) comes with 1x gearing, in the shape of a fully hydraulic SRAM Apex 1 groupset. Unlike the carbon models, the alloy frame still uses post-mount brakes and quick-release axles front and rear – potentially useful if you already have a set of QR race wheels that you can’t bear to part with. It features a formed top tube for comfortable shouldering, and looks like the perfect first-timer’s ‘cross race bike. All of the carbon CruX models feature the same frame and forks combo. All that changes is build specification and colour options. 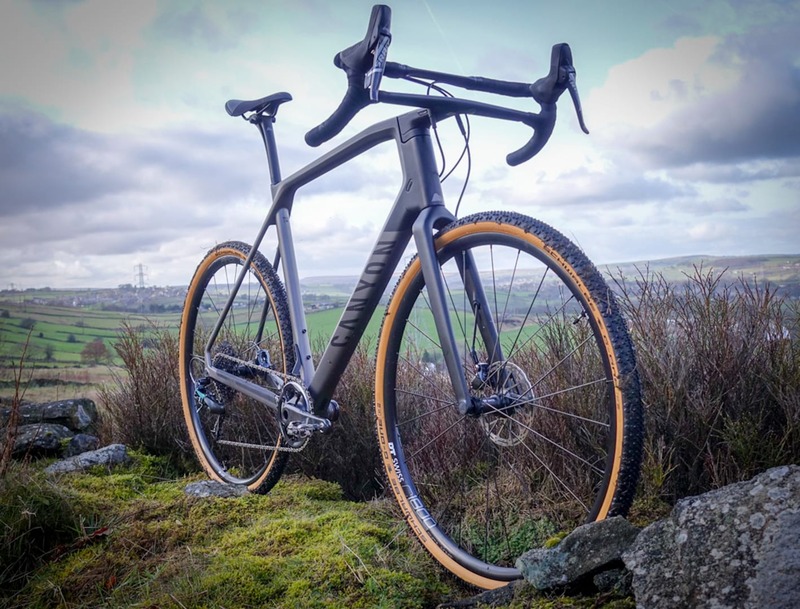 At £2800, the CruX Elite looks like a great option for someone taking ‘cross a little more seriously. The Rival1 groupset is trusty standby for us now – it’s worth noting that Specialized has fully committed to 1x across its entire range of bikes. It’s something that we welcome for ‘cross racing and off-road use in general, but are sure there’s a few 2x fanatics that will be disappointed and looking elsewhere. Pulling out all the stops. The Expert now comes with carbon wheels. As with the other carbon models, the Expert features bolt-thru axles front and rear, as well as direct mount brakes. Things step up a fair bit component-wise though. Groupset and brakes wise, SRAM’s lighter Force take over duties. The eagle-eyed amongst you will have noticed that Specialized has elected to use Praxis cranks across the range this year. Cheaper models use an alloy crank, the Expert goes carbon. Specialized also calls in the black stuff for the wheelset, with its own-brand Roval C38 disc wheels. We reckon that unless you are wedded to tubs, there is nothing that even those at the front of the field would look to upgrade. All that comes at a cost, however. The Expert hits £4000. We think that’s fair given the spec list, but it’s a hellalotta money. What’s the going rate for a kidney? The S-Works CruX. There’s a hellalotta money and a hellalotta money though. If you thought £4000 was a bit steep, double it. 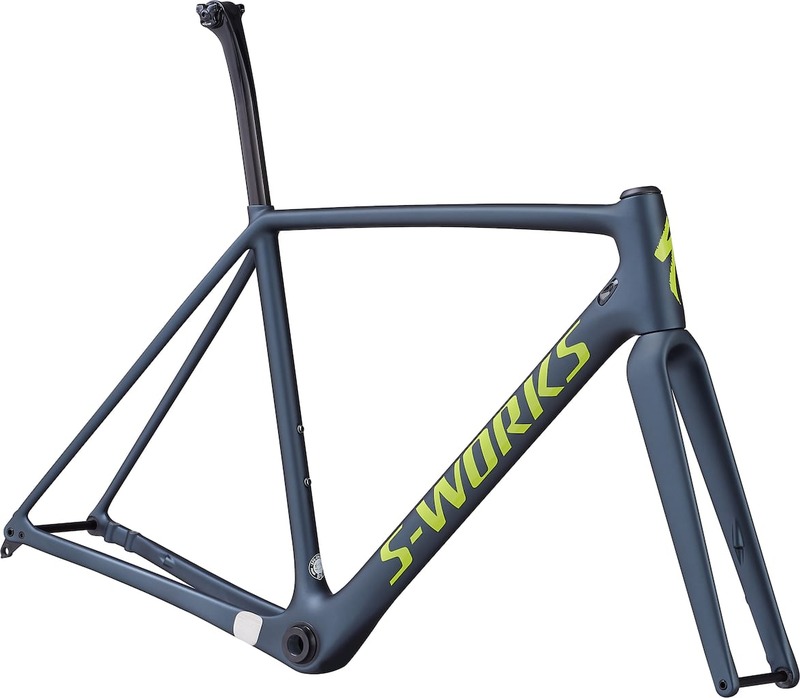 Yes, the S-Works CruX costs £8000. For that, you get Dura-Ace Di2 shifting at the rear. Shimano doesn’t do a 1x specific drop bar option at the moment, so Specialized has gone a little off piste on the front. The cranks are its own-branded S-Works carbon powermeter crankset. The Win Tunnel Engineered Roval CLX 50 Disc carbon wheelset is meant to offer superior aerodynamics, better mud-shedding-ability, and a svelte 1415g weight. 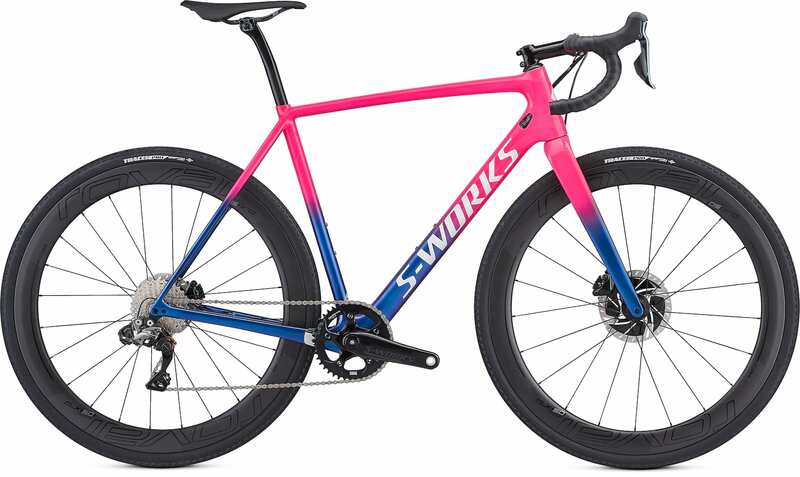 Now, it’s fairly unlikely that many S-Works will be bought, and even less likely that we’ll see them in privateer fields at the local ‘cross race, but that doesn’t mean that we aren’t glad to see companies showing off what a money-no-object ‘cross bike might look like. We just wish we didn’t want it so badly. If the fade paint job is too much, the CruX E5 Sport is available in more a more subtle colour option. I love the fade paint this year. Really nice. I do wish the alloy Crux would get an update to thru axles though, that would make a pretty compelling bike!